A simple and fresh theme, Popster is a writer’s dream. Focus on the written word and dynamic imagery to build your presence on the web. Upload a logo or add a favicon so readers know you are serious from the get go. 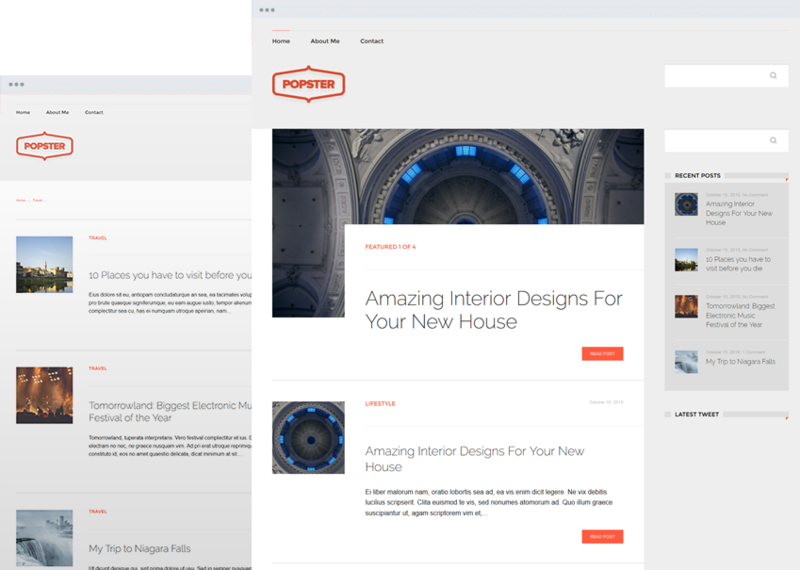 What you see is what you get, and in real-time too using the Live Theme Customizer to build your website. Search engine friendly code will get you noticed by Google and boost your site’s traffic. Utilize both the main menu and footer link ability for a top notch user experience. Serve up a mobile friendly site to all of your visitors regardless ofwhich device they are using. All popular internet browsers will display your site just as you intend it to. Coding best practices are always followed so your theme maintains the quality you expect. Easy translation using .po and .mo files that come included. No time-consuming editing here. Rest easy knowing your theme will always be compatible with the latest version of WordPress. 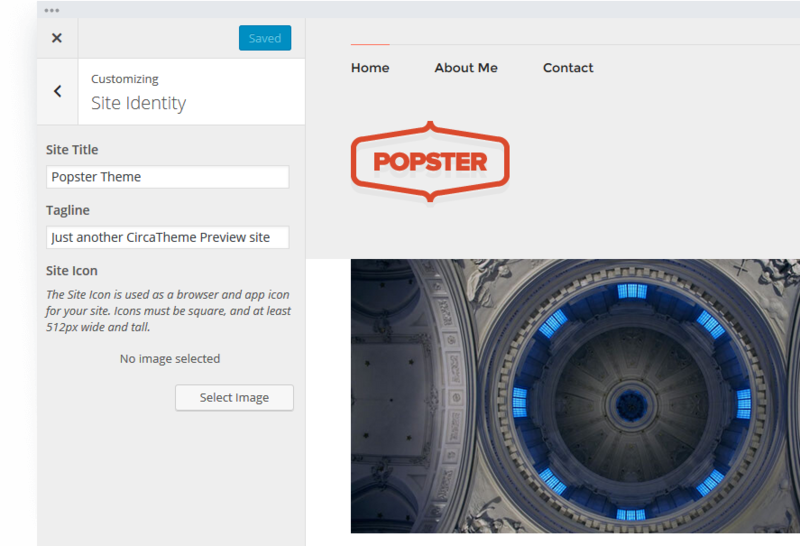 Popster, a straightforward theme offering you the chance to introduce a pop of personality. Be confident and display your bold imagery; your readers will love it. Sidebars with thumbnails direct your visitors without overwhelming. Upload a logo, include sticky navigation, or add another pop of imagery.